Manchester United could attempt to make a shock bid for Barcelona star Ivan Rakitic, according to reports in The Sun. The midfield maestro is currently tied to a contract with the La Liga giants, which runs till 2019. However, the club’s failure to negotiate a new contract with the Croatia international has been noted at Old Trafford club, and they are said to be ready to pounce. According to reports in Mundo Deportivo, the Red Devils had actually made a bid for Rakitic in the summer worth around €10 million per season after tax. However, with manager Jose Mourinho opting to splash the cash on a world-record transfer deal for Paul Pogba, United’s interest seemed to have died down. Juventus were also keen on signing the 28-year-old as a possible replacement for Pogba, but a move failed to materialise. Rakitic has a buy-out clause in his contract worth around €100 million, but it is unlikely that any club would be willing to spend so much money on a player who is about to turn 29. However, despite his positivity that a new deal was on the verge of being completed, there has been no news of any sort of contract renewal yet. 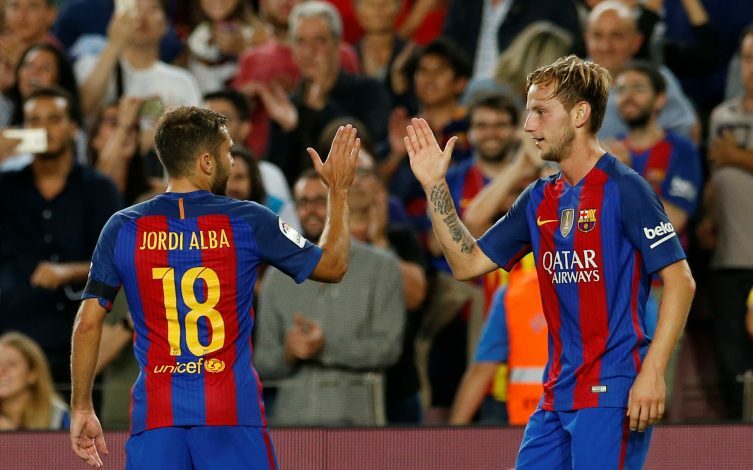 Rakitic could prove to be the ideal replacement for Michael Carrick, who is now 35 years old, at Old Trafford, and Mourinho will be keeping a close eye on developments regarding the midfielder’s situation at the Nou Camp.